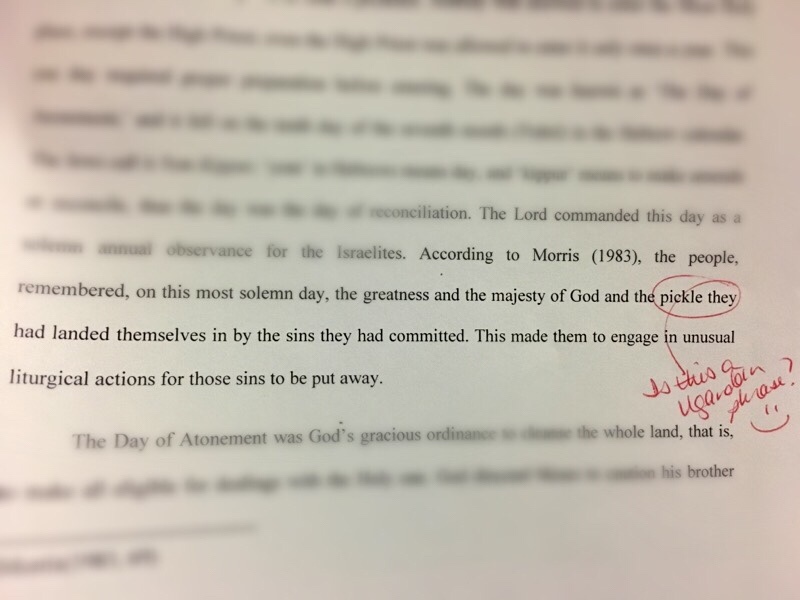 It gave me a good chuckle, as did the “unusual liturgical actions.” I am quite strict about plagiarism, and I thought this was his way of paraphrasing something he read. I was all kinds of proud of him for incorporating what I taught him. Until I read the same sentence three papers later. Sadly, it’s a quote from a commentary. So the plagiarism/attribution rants shall continue.